Ever wish you could cut down on the food waste your family adds to landfills every year, but stymied by the logistics of composting? Maybe you live in an apartment, have a small backyard, or simply want an easy way to turn your food scraps into food for the Earth. 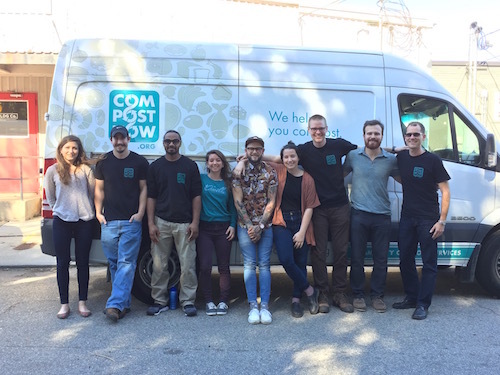 If you live in the Asheville area, there’s a simple solution: CompostNow is a service that allows anyone to compost without the hassle and maintenance of a compost bin. Members receive bins that they can fill with compostable items; the bins are collected on a weekly basis and returned with earned compost, either to you or to a local community garden of your choosing. There are many reasons why composting is a great idea. 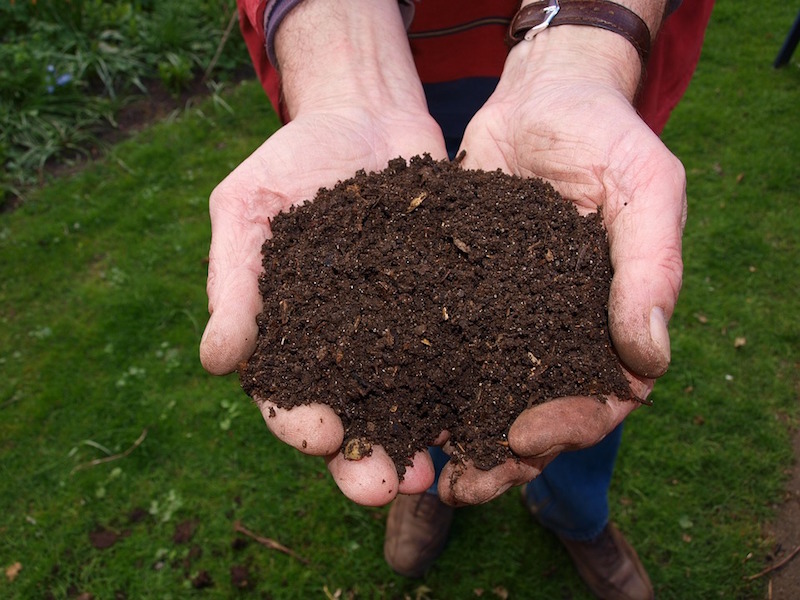 Garden soil thrives best on compost; it helps loosen clay soils and helps sandy soils retain water. And unlike commercial fertilizers, it has no petroleum-based compounds. Compost curbs plant diseases and pests, and helps your garden to produce much higher yields of healthy fruits, vegetables and flowers. Then there’s the benefit to the Earth: Composting keeps food-related waste out of landfills, easing the environmental burdens that weigh on our planet. In fact, CompostNow members divert over a third of their waste from landfills — that’s more than 500 pounds per household. Anyone in the Asheville area (or the Triangle area, CompostNow’s other service point) – be it a household, business, restaurant or even an event – can sign up to be a CompostNow member. For a household, once you sign up, you will receive up to two bins. Just put your food scraps and other compostable materials (CompostNow provides you with a list, which includes even bones, meat, dairy and pizza boxes) in the bin; every week, the service comes to collect your food-related scraps, replacing your bin with a clean one. CompostNow partners locally with Danny’s Dumpsters, which takes the collected scraps to its facility in East Asheville for composting. You start earning compost immediately, and it’ll be dropped off whenever you indicate you’d like it. The service also offers the option to support the local food movement by sharing earned compost with a local community garden of your choosing. For more information on CompostNow, and how you can easily get in on the composting movement, visit www.compostnow.org. In the heart of West Asheville sits a true rarity: Malvern Walk, a new, modern community offering generously proportioned lots, all within one of Asheville’s original historic neighborhoods, Malvern Hills. Adjacent to the site of the historic Sulphur Springs Hotel, and home to what was once the last stop on Asheville’s first electric trolley, Malvern Hills is steeped in history, natural beauty and mountain vistas. Living in Malvern Walk puts you in the midst of this history, but also affords residents amazing proximity to a wide range of amenities. 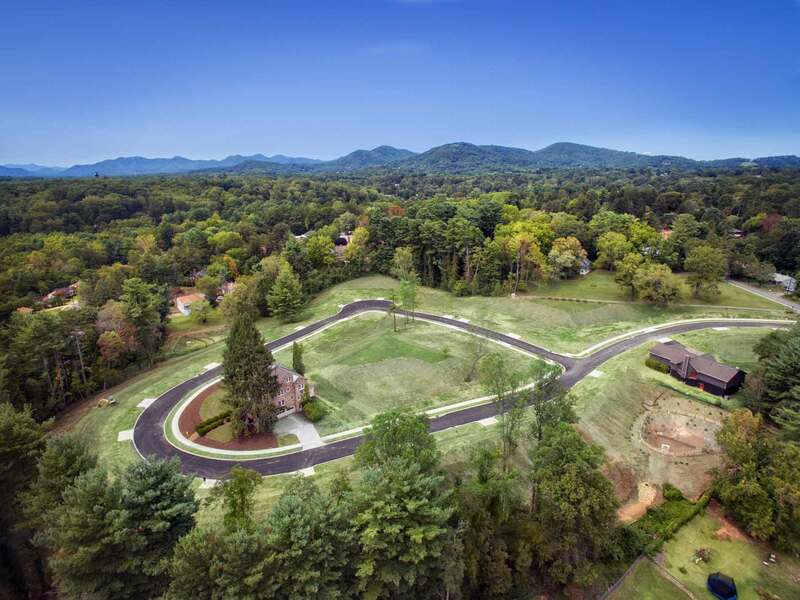 Boasting broad sky views and an accessible community to delight walkers, cyclists and gardeners alike, Malvern Walk offers the opportunity to build a dream home in West Asheville’s original historic large-lot subdivision. Malvern Walk has 30 lots, all a quarter acre or larger, two of them with existing homes. All utilities are installed to the lots, including water, sewer, cable, fiber optics and natural gas. The lots are graded, and the driveway entrances have been installed, making planning and construction easy. Malvern Walk’s design promotes walking and biking as a means of relaxation as well as a mode of transportation. 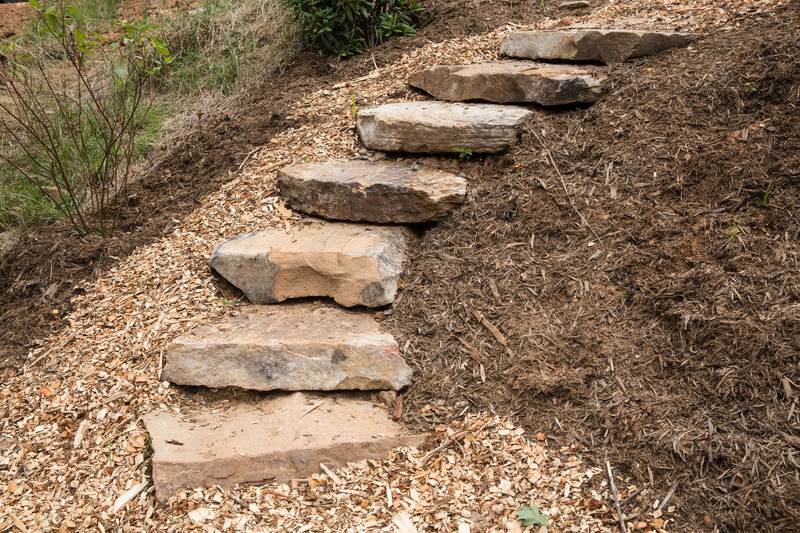 An interior mulched path ties seamlessly to the Malvern Hills neighborhood, where sidewalks and quiet streets provide the perfect setting for a morning jog or an evening stroll. Residents can take advantage of the neighborhood’s short distance to multiple parks, the local library, coffee shops, restaurants, live music and more in West Asheville’s own “downtown,” the dynamic Haywood Road commercial corridor. Along this lively thoroughfare, mom-and-pop shops stand alongside an influx of newer businesses – everything from retro arcades to artist co-ops to bike and skate shops to music halls have found their way to Haywood. With quick access to interstates and downtown Asheville, Malvern Walk offers the best in proximity without being in the middle of the hustle of Asheville’s urban center. 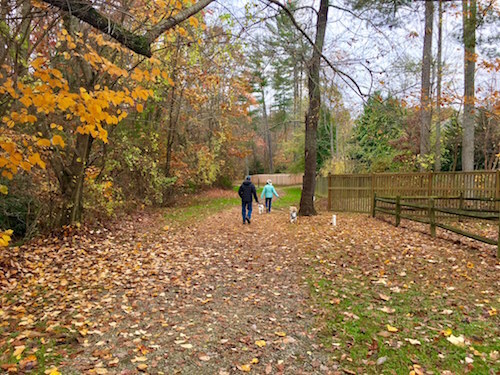 Living in Malvern Walk means being able to hop on the Hominy Creek greenway and connect to Asheville’s river parks with ease. In addition, it’s only a short drive to hiking in Pisgah Forest or biking on the Blue Ridge Parkway. Closer to home are the Malvern Hills swimming pool, tennis court and playground. 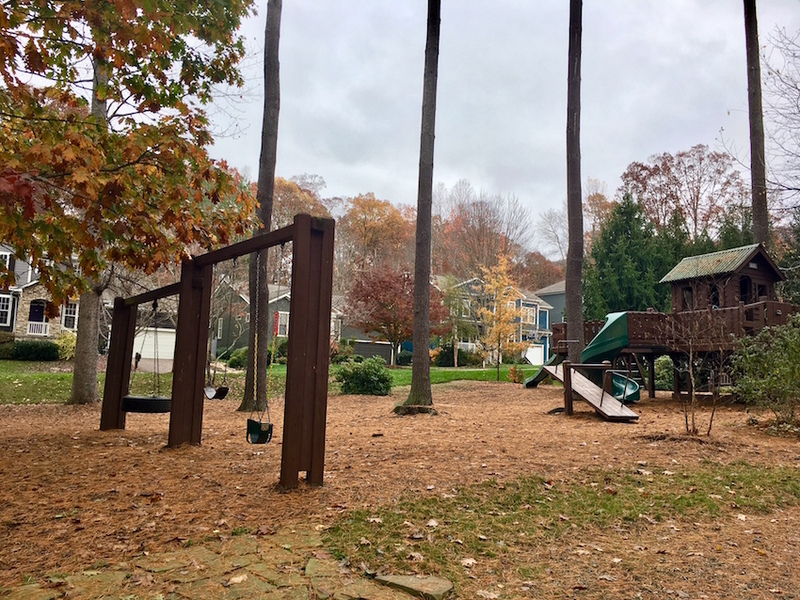 A number of well-regarded schools within a short distance – including Vance Elementary School, Francine Delany New School for Children, Rainbow Community School and Asheville City Preschool, just to name a few – make Malvern Walk ideal for families. For a personally guided tour of Malvern Walk, or for more information on real estate here or anywhere in Asheville, please contact Mike Figura at Mike@MyMosaicRealty.com or call him anytime at (828) 337-8190. Imagine a sustainable urban community featuring streamside trails and organic gardens against a park-like backdrop. Now imagine this idyllic setting within easy walking distance of West Asheville’s vibrant Haywood Road corridor. The distinctive neighborhood of Craggy Park has all of this, and more. 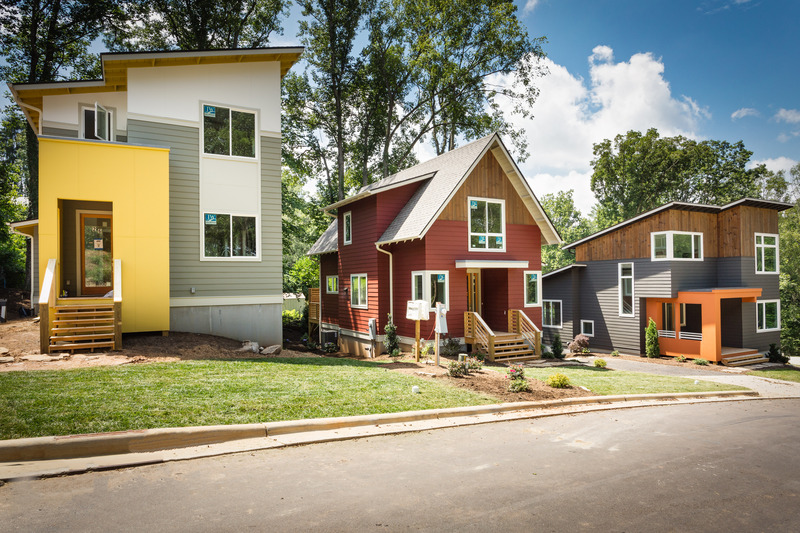 Its 45 green-built homes, featuring modern, clean lines and bright, open designs, are responsibly constructed for low environmental impact and sustainable living. Ditching the car in favor of biking or walking to restaurants, grocery, schools, the library and other amenities along Haywood Road and Patton Avenue is easy for Craggy Park residents, making this neighborhood the ultimate in green living. Craggy Park’s design philosophy of clustering homes around ample common space means residents don’t have to go far to enjoy the outdoors. The neighborhood’s park on Fox Creek and adjacent urban woodland conservation area make it easy to stay connected to nature. 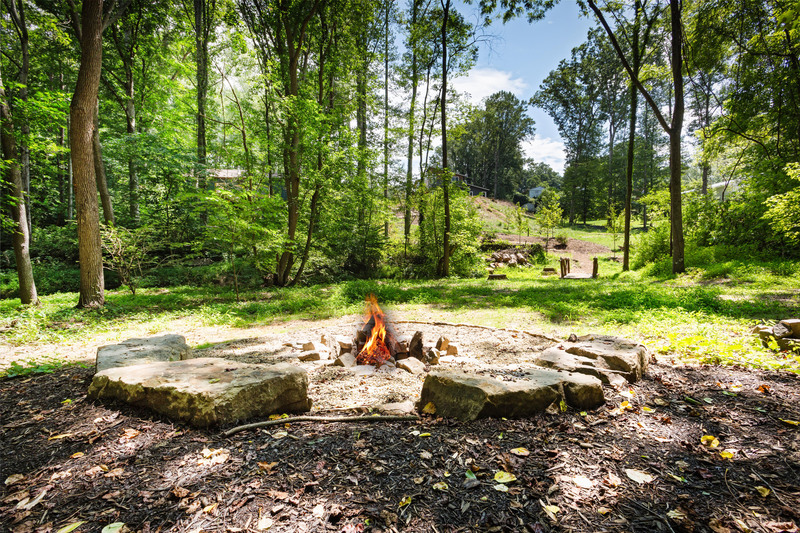 The park includes a nature trail with benches, a lawn by the stream, two “little free libraries,” a tree house, an oversized double swing, organic gardens, a fire pit, a picnic area with a community grill and herb spiral gardens. Native, drought-tolerant and edible landscaping throughout the neighborhood provides a habitat for local flora and fauna. For a more immersive experience in nature, residents have a range of nearby options. The neighborhood is an easy drive to hiking and biking trails in Bent Creek, water recreation on the French Broad River, and camping in Pisgah National Forest. 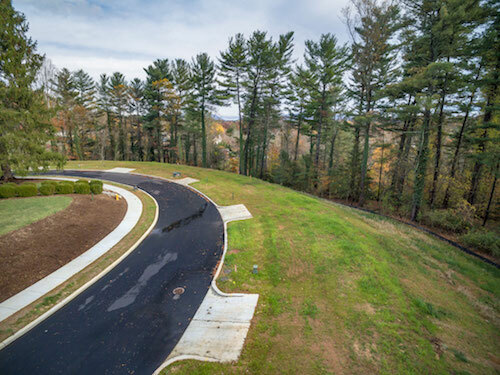 Craggy Park is linked to the Haywood Road business district via a greenway trail and a short stroll or bike ride up Dunwell Ave. Slicing through West Asheville, the vibrant commercial corridor has been the area’s main artery for more than 100 years. Mom-and-pop shops stand alongside an influx of newer businesses – everything from retro arcades to artist co-ops to bike and skate shops to music halls have found their way to Haywood. Even with the seismic shifts the street has seen, it still retains a small hometown air. Residents of Craggy Park can, in mere minutes, be at restaurants, bars, grocery stores, parks and other amenities – making it all the easier to truly experience the area’s energy and sense of community. 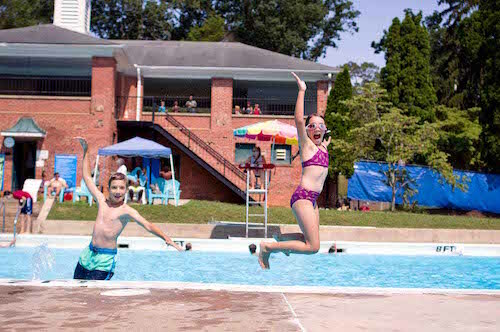 A number of well-regarded schools within walking or biking distance – including Vance Elementary School, Francine Delany New School for Children, Rainbow Community School and Asheville City Preschool, just to name a few – make Craggy Park ideal for families. 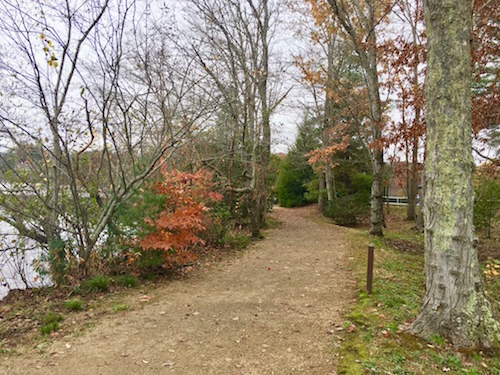 For a personally guided tour of Craggy Park, or for more information on real estate here or anywhere in Asheville, please contact Mike Figura at Mike@MyMosaicRealty.com or call him anytime at (828) 337-8190. A local, family-owned hard cider production company and tasting room located in West Asheville, Urban Orchard is one of only a few “True Cider Bars” in the country. The cidery offers craft hard apple cider, local beer, wine and snacks to enjoy with your cider, like meat & cheese plates, bruschetta and a variety of dips and locally baked goods. There are three flagship hard apple ciders on tap, with rotating “Series” options. 210 Haywood Road, West Asheville. Black Mountain Ciderworks + Meadery, just east of Asheville, crafts genuine cider and mead from local apples and honey. The cidery ferments its cider in small batches blended from heirloom apples throughout the harvest and pressed in house. 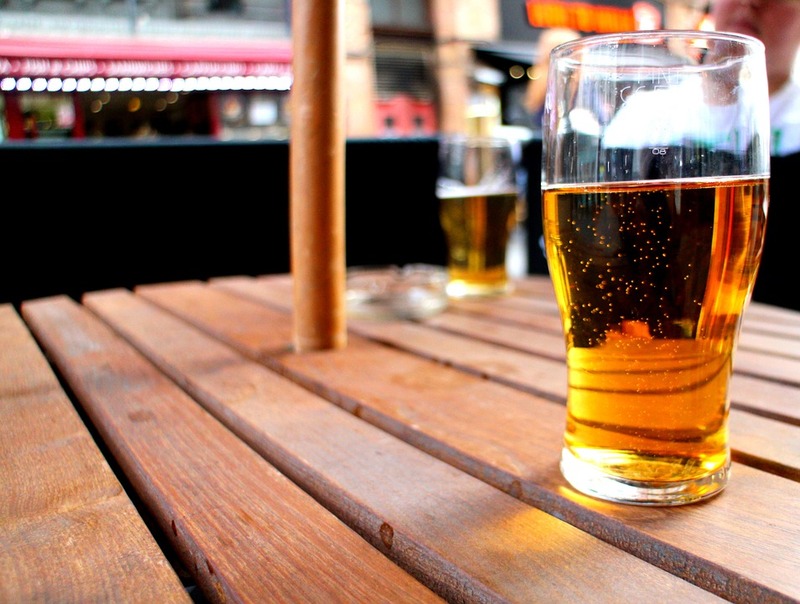 Their ciders, never filtered or pasteurized, have no added sugars, concentrates or manufactured flavors. The tasting room has four ciders on tap, made from Henderson County apples. 100 Eastside Dr., Black Mountain. 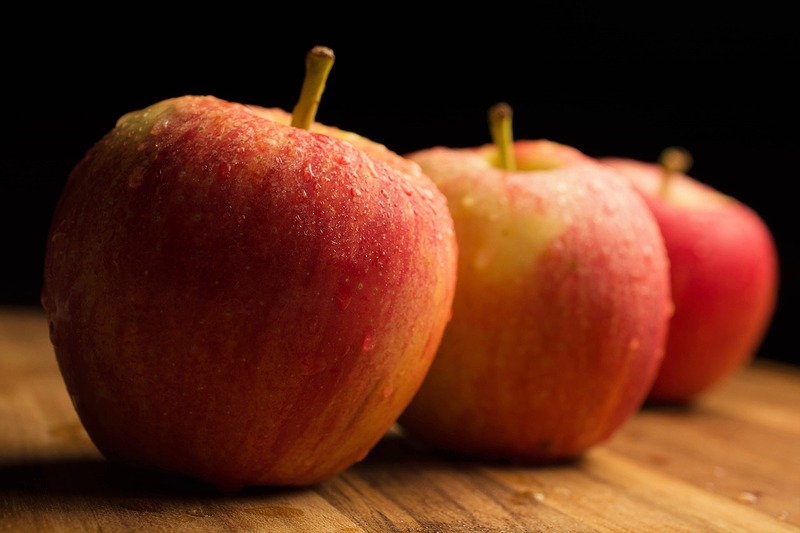 The Noble Cider Taproom gives visitors the opportunity to experience first-hand the cider-making process. Watch raw apples arrive for pressing, then see the apple juice being pumped into tanks for fermentation. You can also see the finished product being put into kegs and bottles. 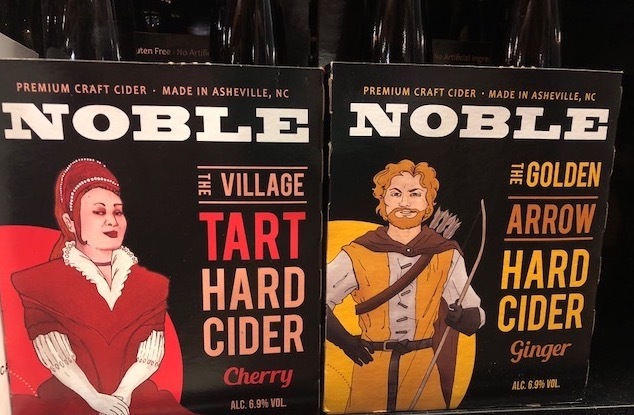 Noble offers a full range of Traditional and New American ciders and meads; their taproom boasts 20 taps of crisp hard ciders. Noble can also be found on tap and in bottles in select cities throughout the Southeast. 356 New Leicester Highway, Asheville. Bold Rock Hard Cider, the largest craft cider maker in the Carolinas, opened its cidery and tasting room in Mills River in 2015. Visitors to the cidery, 20 minutes from downtown Asheville, can enjoy expansive views of the production floor and bottling line as they learn about the process of creating cider from Henderson County apples. The cidery offers daily tours and hard cider tastings as well as pints, flights and local craft beer. An onsite food trailer sells barbecue and sides, and a cider garden provides an open space for visitors to relax. 72 School House Road, Mills River. Started as a humble cider operation, Flat Rock Ciderworks is committed to maintaining its original core values as the company grows. Locally picked and pressed fruit goes into every production line. Favorite flavors Wicked Peel – with just a hint of sweetness – and Blackberry Gold – with mountain-grown blackberries lending subtle flavor to a Golden Delicious cider – are available at Flat Rock Ciderworks’ tasting room as well as locations across North and South Carolina. 305 North Main St., Hendersonville.